Last up is the W.E.R. unit, which offers adjustability on the unit itself. 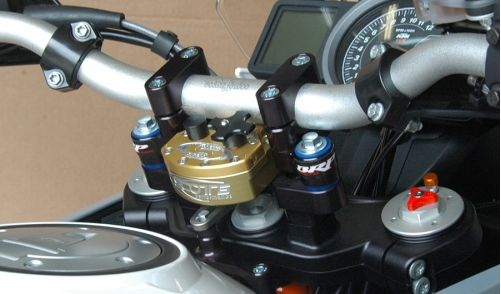 The damper is installed on the lower triple clamp and the adjustment knob is on the unit itself, therefore “on the fly” adjustments are possible but severely limited.